To co-incide with the launch of the new studio flagship LCD-MX headphones, owners of Audeze headphones now have “Reveal”, a free plugin that helps you emulate a world class mix room. This provides the listener with an experience similar to what you would hear from high quality studio reference monitors in an acoustically treated room. The presets are not meant to fix any issues, but are designed to make mixing on headphones more natural compared to doing it on speakers. Some users will prefer their headphones without any DSP presets, while others will prefer the “room sound” calibration provided by these Reveal plugin presets. The Plugin is available in VST, AU, AAX formats and should be inserted as the last plugin on either last on your monitor or master bus, just don’t forget to turn it off when you bounce the project down! 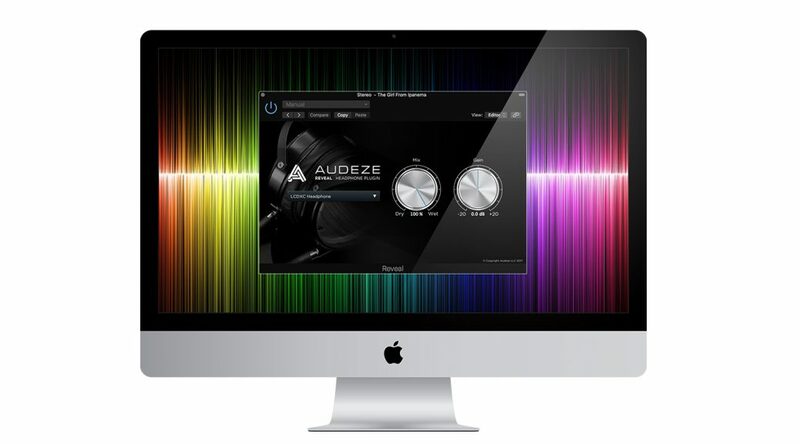 Just select your Audeze headphone and select how much of the emulated tone to mix in. Here at Scan, we’re specifically loving this with the iSINE’s & LCD-i4 (suggest 50-60% mix), The SINE and closed back EL-8 headphones (100% mix). The LCD-X and LCD-MX4 already sounds remarkably similar to an amazing mix room, so the difference isn’t as obvious, but it’s great to have a reference.